Secure a career in an industry to which many service leavers find themselves well suited to. with crane hire companies throughout the UK. Just some of the Industries we serve include; construction, manufacturing, engineering, transportation, aerospace, renewable energy, utilities. For more information on how we can help you prepare yourself for employment in your new civilian life. We employ a high number of ex-service personnel as our Instructors and Assessors, so you can be sure they understand how to support you. We employ a high number of ex-service personnel as our training Instructors and Assessors, so you can be sure they understand how best to support you. Mike started his working career in the Armed Forces (ARMY) serving as a tank crewman and completed his service career as a helicopter air crewman in 1987..
Dale started his working career in the Armed Forces (ARMY) serving as a Corporal and completed his service career as a Logistics Manager in 2005. Dale served in many countries across the world including tours of Iraq, Cyprus, Kosovo & Northern Ireland. Many service leavers regularly choose us for their training as we have the experience, the accreditations and the staff that have the knowledge and expertise to guide you through the whole process.
. We can give you access to reduced cost accommodation.
. All our Instructors and Assessors are highly knowledgeable with many years real life industry experience.
. Many of our Instructors have military experience.
. You can benefit from a comprehensive support network to guide you through the whole process.
. We are approved by Enhanced Learning Credits (ELCAS) and you can use your ELCAS funding with us (PIN 5163).
. For more information on the ELCAS process you can visit https://www.enhancedlearningcredits.com/.
. You can use your Resettlement Funding with us.
. We are approved by the Career transition Partnership (CTP).
. We are a CPCS & NOCN_Cskills Awards Accredited Test Centre for Training & NVQS. (UKCG) sites throughout the UK.
. We can give you access to interview opportunities with crane hire companies throughout the UK. This chart can give you an idea as the to job comparisons from the military to civilian employment. The Slinger Signaller and Mobile Crane Operator categories do not come under the ELCAS funding as they are a level 2 Diploma. However you can use Resettlement Grants and Standard Learning Credits for the CPCS Slinger Signaller & CPCS Mobile Crane operator categories. We are ready to help you and can put you in touch with our ex-service staff who can give you all the help and advice you need. 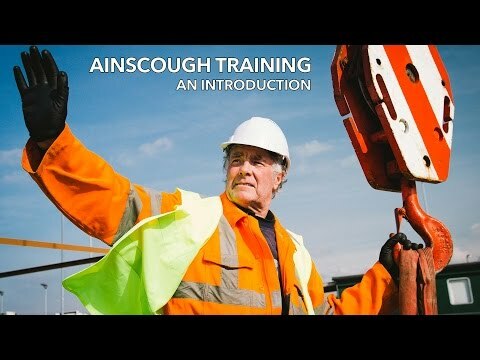 Please call us on 01772 623591 or email helenboland@ainscoughtraining.co.uk for more information on how we can help you.